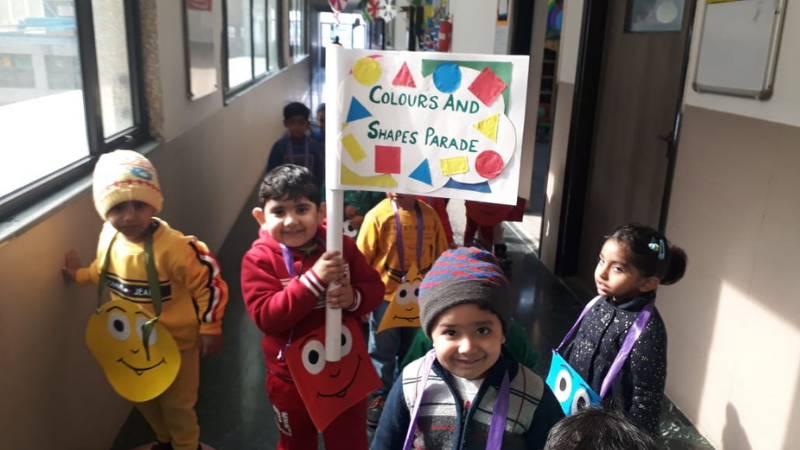 The wonder kids of Toddlers at MRIS Charmwood participated in an energetic and vivid “Colours and Shapes Parade”. The children marched all across the school distributing cutouts of various shapes like circle, triangle, square and rectangle to teachers and members of the administrative staff. This activity helped the Toddlers become confident, communicative and reinforced the concept of shapes and colours in a play way style.